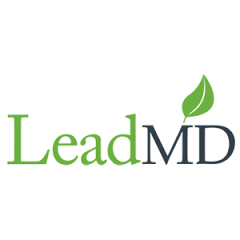 LeadMD is a different kind of full service marketing and sales consulting firm. We specialize in conversational marketing and revenue performance management. As a team of “doers”, LeadMD helps businesses make sense out of marketing automation and increase revenue through both strategy and execution. With deep expertise in Marketo, Salesforce.com, integration, and in how to shape a strong working funnel - LeadMD can develop, streamline, and maximize any lead generation program.